(North) Macedonia and the Prespa agreement, success or defeat? On January 25th, with 153 votes in favour out of 300, the Greek Parliament ratified the Prespa Agreement, thus fulfilling the penultimate condition before its northern neighbour changes its name into Republic of North Macedonia. The last task for Greek Prime Minister Tsipras and the Syriza-led coalition will be the ratification of the NATO accession protocol. Then, the Republic of Macedonia will initiate the implementation of the envisioned constitutional changes and will inform states and international organisations about its new official name. As expected, reactions in Skopje ranged from euphoric to cataclysmic, demonstrating once again the deep polarisation in Macedonian society. The government, together with the majority of media, pro-deal intellectuals, and analysts, celebrated the vote as an investment in the future. On the other hand, opposition media and intellectuals lamented the loss of the state’s official name and possible hidden clauses, invoking dark scenarios for the country's future. Both sides, however, agreed on one thing. Tsipras’s speech during the Prespa Agreement debate, along with those by two other Syriza MPs, was a huge step forward for good neighbourly relations, as the Greek Prime Minister openly spoke about “Slavo-Macedonians” and their destiny before, during, and after the Greek Civil War. Having in mind Greece’s poor track record concerning minority rights, especially regarding the Macedonian minority, this indeed was a historic moment. Supporters of the agreement mainly argued that the Prespa Agreement will further strengthen and affirm Macedonia's identity, with potentially positive effects on the state’s economy and security following NATO membership. 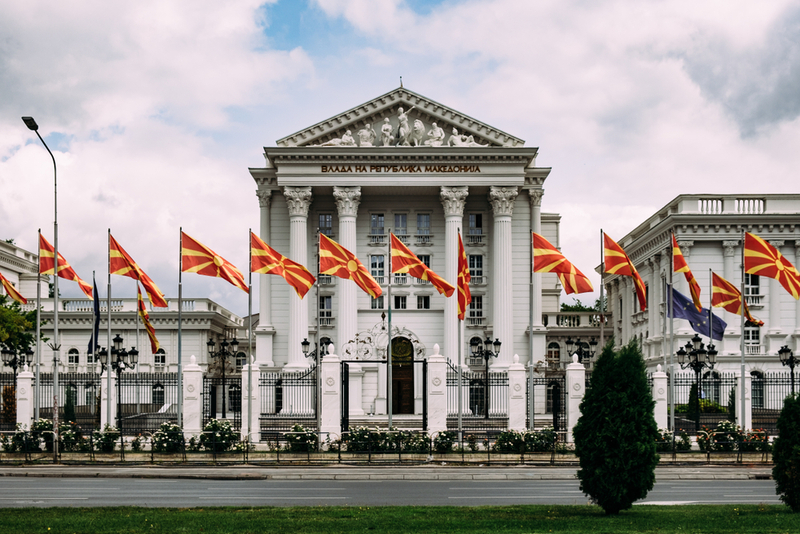 Some media pointed out that Macedonia’s sovereign bonds skyrocketed following Athens’ vote, arguing that the trend will further increase once the NATO accession protocol is signed and EU accession talks are opened. Another popular argument referred to investing in the future by strengthening good neighbourly relations and building a strategic partnership with Greece. On the other hand, critics of the agreement lamented loss of identity, asymmetry, and flat-out described the whole process as national capitulation. As argued by Zoran Zaev, Greece will never address people in (North) Macedonia as Macedonians, but as “Slavo-Macedonians”, as Tsipras did during the debate, or as “Skopjans” as they did before. So, critics fear that, following the formal change of name, international media, politicians, and intellectuals will use the adjective North Macedonians instead of Macedonians, as is envisioned in the Prespa Agreement. Two issues were discussed in a series of debates on several national broadcasters: what policies should follow the ratification and how to use the momentum for further advancement of bilateral relations? Regarding the first question, it was emphasised that Macedonian elites and institutions should fully focus on the thorough implementation of the agreement, ignoring conservative voices advocating for a revision. According to these analysts, the conservative opposition in both countries, in view of the presidential elections in Macedonia and European and general elections in Greece, criticises the agreement but is supportive behind closed doors and happy that someone else resolved the hot issue. The second dilemma is more challenging. In an op-ed for Deutsche Welle, Kica Kolbe – writer, philosopher, and member of the Macedonian team in the Joint Inter-Disciplinary Committee of Experts on historic, archaeological, and educational matters (a body established by the Prespa Agreement to ensure that no educational material contains any irredentist/revisionist references) – emphasised that “the road towards forgiveness and reconciliation starts with facing the past”. To achieve this, stressed Kolbe, Macedonians should forget the fantasies of cancelling the 1913 Bucharest Treaty to unite all four parts of Macedonia as a geographical region in one state – fantasies fuelled, as in all Balkan states, via endemic victimisation narratives. Is Tsipras’s speech the beginning of a long-needed reconciliation? Yes, if one judges by the ecstatic reports by the Macedonian media. In his criticism towards the Communist Party's decision not to support the agreement, Tsipras mentioned the Greek Civil War, the “Slavo-Macedonian fighters of the Democratic Army of Greece”, refugees of the Civil War, deprived by the Greek state of the right to return to their homeland in 1983, and “Slavo-Macedonian” partisan fighter Mirka Ginova, known as Irene Ginny – the first woman sentenced and executed by the government during the Greek Civil War. On the same line, Syriza MP Nikos Filis – commenting on the Greek nationalistic narrative that “Macedonia is one, and it is Greek” – said that Macedonia is not just Greek. “Maybe it doesn’t sound good, but it is the truth. Greek Macedonia is Greek, and let me clarify, it was made Greek because, until 1912/1913 and 1921/1922, when the refugees came, there was no Greek majority in Macedonia – only in some regions in the south”, Filis said. According to liberal elites in Macedonia, the above-mentioned narrative is clearly a positive impact of the Prespa Agreement and shows the willingness of liberal Greek society to open the painful question of minority rights and the rights of Greek Civil War refugees. Among the descendants of those refugees are Kica Kolbe, Macedonian Foreign Minister Nikola Dimitrov, former Prime Minister Nikola Grievski, etc..
Alexis Heraclides, professor of International Relations and Conflict Resolution at the Panteion University of Social and Political Sciences in Athens, pointed out in a recent interview that ethnic and linguistic rights should have been included in the Prespa Agreement. “The members of this ‘phantom minority’ are Greek citizens who reside in the north of Greece, in Florina, Pella, and Kastoria. They are the majority in some regions and they happen to speak another language; Slavo-Macedonian or perhaps a Bulgarian dialect is their mother tongue. They exist, they are there; you can go and see them and speak to them (they are bilingual)”, said Heraclides, adding that roughly half of them say that they are of Slavic origin, but see themselves as Greeks. However, Heraclides continues, the other half “see themselves as something different and remember how their ancestors were treated under the Metaxas dictatorship and in the 1950s. Half of them fled Greece at the end of the civil war; note that the Slavo-Macedonians made up the majority of ELAS (Greek People's Liberation Army) in the second part of the 1940s, during the Greek Civil War”. Several other Greek scholars wrote extensively on how Macedonia's Slavic heritage was wiped out by linguistic oppression or how Greece has ignored the Macedonian question. This is confirmed by the 2008 fact-finding mission by Gay McDougall, UN Independent Expert on Minority Issues, who “urged the government of Greece to withdraw from the dispute over whether there is a Macedonian or a Turkish minority in Greece and focus on protecting the rights to self-identification, freedom of expression, and freedom of association of those communities”. After all these years, the minority/ethnic/linguistic issue remains at the very core of the dispute and its progress will most definitively determine the legacy of the Prespa Agreement – will it be regarded as the start of a strategic partnership or just another short-sighted deal predominantly addressing the geopolitical needs of Western allies?